There are many reasons to play Blood Suckers slots machine, one of them is that it’s one of the best paying slot machines available online with an average RTP of 98%. It is 5 reel, 25 paylines NetEnt video slot. As you might have guessed, Blood Suckers is a vampire themed slot. Bet Size: The minimum bet per spin is $/€ 0.01 and goes up to € 50. Update: in 2017, NetEnt released a sequel to this popular slot, called Blood Suckers 2. Blood Suckers offers 2 bonus features, Free Spins and Bonus Game. To trigger the free spins you will need to get 3 or more scatter Vampire symbols anywhere on the reels. That will give you 10 free spins with x3 multiplier. 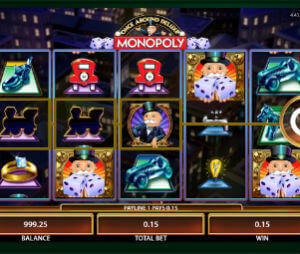 The free spins feature can be re-triggered again and again, however the following spins will come without the multiplier. The Vampire Slayer bonus round is a Pick Me bonus. You will need to pick coffins, hoping to find the ones with vampires. This feature is a bit less frequent than the free spins. To activate it you will need to get 3 Bonus symbols in a raw, from left to right, on an active pay line. The maximum win during the Bonus Game can reach 20,320 coins. Blood Suckers slot machine is part of NetEnt Touch® series of mobile slots. In terms of usability and player experience, NetEnt Touch slots are just perfect for mobile play. They are as fun on the small screens of mobile phones as their desktop version.